One of the most common ways pictures are lost on digital cameras is because of improper handling of the camera itself. This data can often times be recovered if you are interested in camera memory card recovery, but it is better to try and avoid needing recovery. Below are the most common ways digital cameras are mishandled and how to avoid losing your data. A digital camera has a certain set of processes it preforms to take pictures and save them. Often times the camera itself may take longer to go through these processes when it is told to shut down. Digital cameras being improperly turned off, is one of the most common ways to lose data. Though it might be urgent to turn the camera off and upload your pictures, it is important to always do this through the camera and never pull the battery. Only once your digital camera powered down properly should you remove the battery. prematurely turning off your camera can cause harm to the camera and lose pictures on your memory card. Probably the most common way data is lost from camera memory cards is from pulling the memory card out of the camera while it’s still on. Improper shut off will have a chance of losing data, but removing the memory card while the camera is on and working will have a greater chance of losing pictures. Removing your memory card may vary from camera to camera, be sure to consult the manual for your specific camera to ensure you are removing the memory card correctly. Though it is just a memory card and any information should be able to be put on it, DON’T! Using your memory card with different devices can cause corrupted data which results in the loss of pictures. Make sure to have your digital camera memory card specifically for your camera and only used for taking pictures. Keeping your memory cards separate will ensure your data doesn’t get corrupted or overwritten. It seldom happens, but while uploading your pictures make sure your computer is healthy and up to date with your uploading software. Sometimes viruses or data corruption can happen during an upload because of the computer you are uploading on isn’t healthy or isn’t up to date. Lost Pictures? We Can Help. 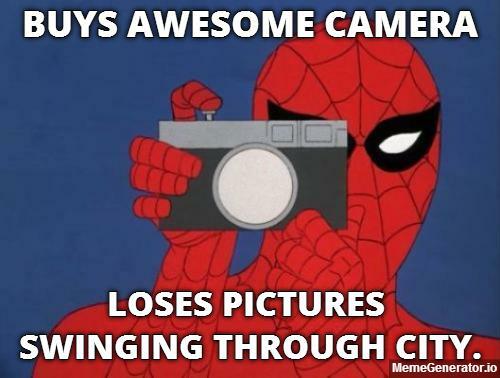 If for any reason maybe your camera had a malfunction and you lost pictures, or something went wrong while handling your camera we are here for you to recover those pictures you don’t want to lose. Get more information on our camera card data recovery here or you can submit your case to our specialists. We service nearly any device that needs data to be recovered and have many locations across the country that can serve you. To see our service center locations click here, otherwise give us a call at: (888) 288-3282!